Ahhh, springtime. The daylight hours are getting longer, the evenings are getting warmer, and you can finally fire up the barbecue. If you’re really techy, you might have a pile of gadgets on hand, ready to help you get through the warm months. But, as all too many people know, reality is not quite so blissful. Spring is allergy season, a time of tissues and runny eyes. Indeed, more than 17.2 million American adults have been diagnosed with hay fever in the last 12 months alone. “Allergy season” is something of a misnomer. Depending on where you live, you can suffer at any time of the year. In the southern US, the grass can start flowering as early as mid-February, whereas in the north, ragweed can trigger reactions right up until the first frost of the year. However, broadly speaking, most people suffer from mid-spring to mid-summer when the majority of plants come into bloom. According to the American College of Allergy, Asthma, and Immunology, the most common triggers are burning bush, cocklebur, lamb’s quarters, pigweed, sagebrush, mugwort, tumbleweed, and Russian thistle. If you suffer from spring allergies, keep reading. Here are a selection of allergy alert apps, allergy detector apps, and pollen count apps that’ll get you through the next few months. Many people will already know the WebMD brand. It’s the leading healthcare publisher in the United States. 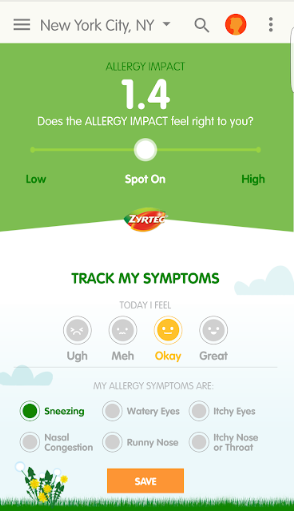 The company produces a dedicated allergy app for both Android and iOS. This covers several varieties of allergic reactions. Pollen allergies are naturally included, but so are food allergies, skin allergies, insect allergies, and medicine allergies. The app comes in three primary sections. There’s an allergy forecaster to alert you to days when you’ll be at risk, a tracker so you can log your best and worst days, and an Allergy 101 guide. The guide offers 130 tips, 193 articles, 12 videos, 15 slideshows, and 36 quizzes. It’s a perfect way to learn about the allergens that affect you. Zyrtec is another brand name that will be instantly familiar to a lot of people. The company is one of the most well-known manufacturers of antihistamines and other allergy medications. Its AllergyCast app is similar to WebMD Allergy; it tries to be a holistic tool that’ll serve you well throughout the allergy season. 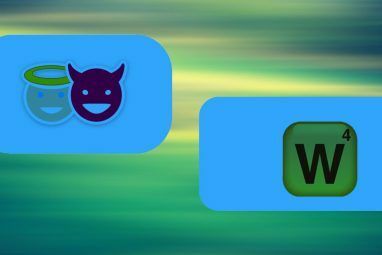 The app has allergy alerts and a weather forecast that you can check every day 5 Useful Weather Apps That Are Fun to Check Every Day 5 Useful Weather Apps That Are Fun to Check Every Day These stylish and fresh weather apps make your daily weather updates that much more satisfying. Read More . The allergy alerts are particularly impressive. AllergyCast uses live data from 41,000 ZIP codes to provide dynamic maps of your exact location. It also monitors social media chatter in an attempt to establish how people are feeling, then provides you with updates on what to expect. This isn’t the same as the app we just discussed, though the same people are responsible for it. Your Daily AllergyCast is a free Amazon Alexa skill Just Bought an Amazon Echo? Download These 15 Essential Alexa Skills! Just Bought an Amazon Echo? Download These 15 Essential Alexa Skills! Alexa, the virtual assistant powering the Echo line of speakers from Amazon, gets smarter daily thanks to a growing number of skills. 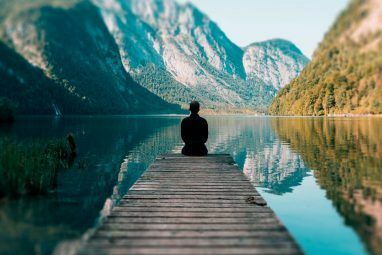 Here are 15 skills everyone should enable as soon as they unpack their... Read More . It can give you the weather, pollen count, and the potent allergens on any given day for your local area. Like the smartphone app, it sources its data from live feeds in more than 41,000 ZIP codes. The skill will also provide you with an “Allergy Impact” score. It’s created using an algorithm with all the available data and aims to let you know how you’ll feel when you step outside. Anyone with a pollen allergy probably has a something close to a warehouse full of antihistamines during the spring months. But there are so many to remember: Brompheniramine, Cetirizine, Diphenhydramine, Fexofenadine, Loratadine… the list goes on. How are you possibly supposed to recall which tablets to take at which times? You need the Med Helper Pill Reminder app. Alarms will remind you when it’s time to take a pill, when you’re running low on a certain type of medication, and even when your older tablets are due to expire. The app can sync all your data with the cloud for cross-device syncing. You can even share it with your doctor ahead of check-ups. 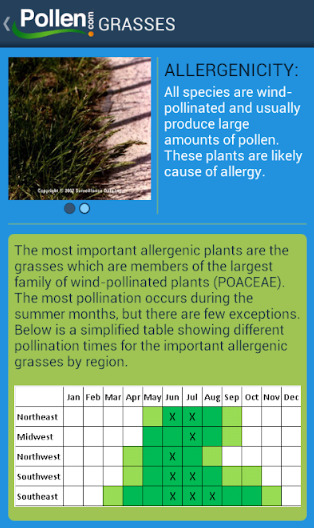 The Allergy Alert app is a must-have for anyone who suffers from spring allergies. Its creator, Pollen.com, is arguably the most well-known allergy-specific site on the web. 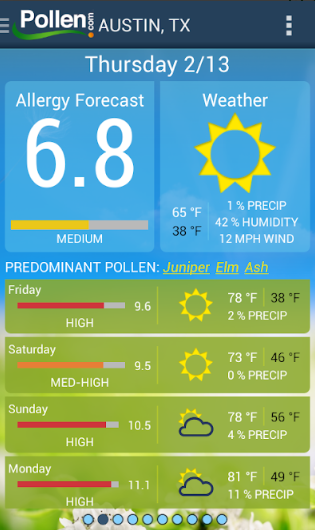 Allergy Alert offers several of the same features in other apps, including weather and allergy forecasts, an allergy diary, and side-by-side location comparisons. However, dig a little deeper, and the app really starts to shine. For example, all the most common plant allergens have a dedicated page along with plenty of photographs and information. And the app itself will change its look depending on whether allergens from trees, grasses, or ragweed are most prevalent on a given day. You can even turn your data into charts and graphs using the web app. The Weather Channel has developed a reputation for providing forecasts for just about every type of outdoor pursuit imaginable, so it’s no surprise allergies are covered. Of course, the app itself is far more extensive than just offering allergy reports, meaning it’s a great well-rounded weather app. It’s also one of the few apps that provides a mold allergy forecast, which means it’s a must-have if mold is one of your allergy triggers. And to effectively filter those allergens out of your home, check out the best home air purifiers 3 Best Air Purifiers for Homes and Why You Need One 3 Best Air Purifiers for Homes and Why You Need One There's nothing more important than the air we breathe, but air purifiers are often overlooked! What do they do? What should you look for? Keep reading for these answers and some top recommendations. Read More . Look, we’re all busy people. How many people really have time to tell the Zyrtec Alexa skill how they feel every day? If you’re looking for a simple, no-frills skill that’ll just give you the pollen forecast every morning, this is the answer. 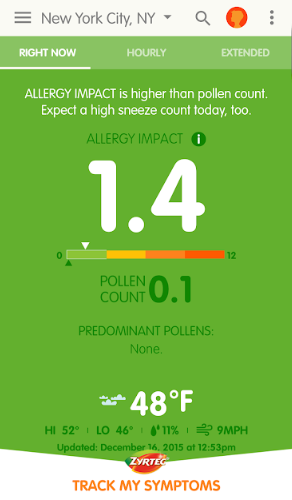 My Allergy Assistant can provide you with the amount of tree, grass, and ragweed pollen per cubic meter in your local area. At this time of year, the thought of leaving your home and going into the pollen-infested countryside can fill you with dread. But it doesn’t have to be that way. 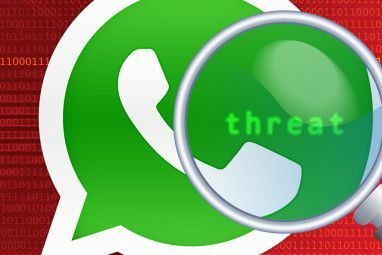 If you use these apps, you’ll always know which days you need to take extra precautions. Better still, you’ll never forget to take your preventative medicine before stepping out of the door. 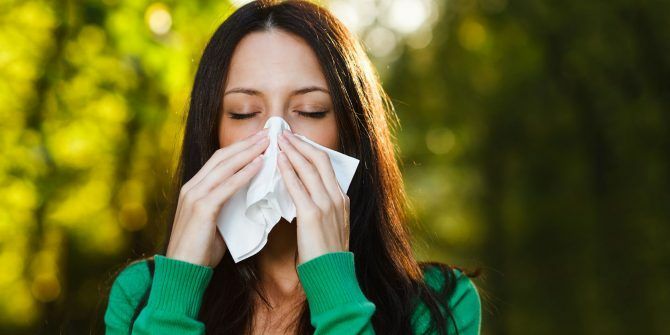 Finally, remember you might not have an allergy; something else could be causing your runny nose. Make sure you research any other health issues before taking medication How to Research Health Issues: The Best Alternatives to Dr. Google How to Research Health Issues: The Best Alternatives to Dr. Google Is Google a reliable source for researching health issues? Can you trust it? If not, which are some of the most trustworthy alternatives for health related information? Read More . Explore more about: Android Apps, Health, iOS Apps.